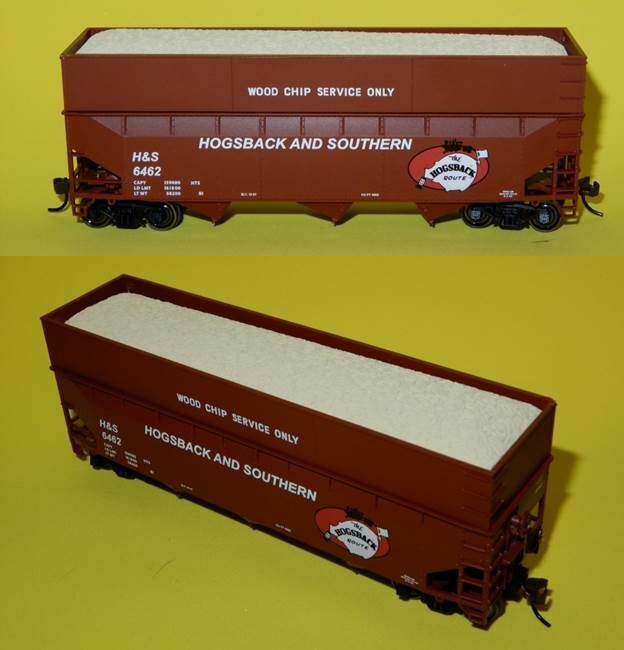 Hogsback & Southern wood chip offset hopper car kits. Bowser HO scale kit custom decorated for the Lansing Model Railroad Club sporting its whimsical Hogsback Route logo. Kadee compatible spring couplers, metal wheel sets and woodchip load. Four road numbers offered 6410 6453 6462 6479. $18 each plus $7 shipping (covers one or two cars). Send check (payable to LMRC) to LMRC, P.O. Box 1305, East Lansing, MI 48826.